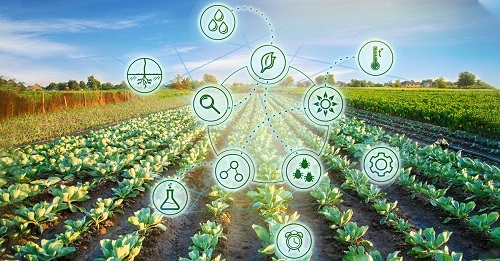 RESEARCH TRIANGLE PARK, N.C., March 20, 2019 – Syngenta and the Analytics Society of INFORMS have announced the finalists for the 2019 Syngenta Crop Challenge in Analytics. This year’s class of finalists includes teams from Serbia, Germany and the United States. Now in its fourth year, the Crop Challenge is a collaborative effort between Syngenta and the Analytics Society of the Institute for Operations Research and the Management Sciences (INFORMS), the leading international association for operations research and analytics professionals. The competition gives math and data analytics experts a chance to use their expertise to build predictive models, based on real-world agriculture data, to help scientists build more resilient and higher-yielding seed hybrids and varieties. An ecophysiological Bayesian approach to identify heat and drought tolerant maize hybrids - Konstantin Divilov from Oregon State University, U.S.A. Crop stress classification using deep convolutional neural networks - Saeed Khaki and Zahra Khalilzadeh from Iowa State University, U.S.A. This year’s Crop Challenge question asked participants to define stress metrics and classify corn hybrids for stress tolerances, in an effort to ultimately develop more resilient seeds and create localized options for regions of the world that are not considered hospitable for growing corn. The finalists have been invited to present their submissions during the 2019 INFORMS Conference on Business Analytics & Operations Research in Austin, Texas. They will be evaluated on the quality and clarity of their presentations, and the winners will be announced on April 16, 2019. The first-place winner will receive $5,000; the second-place winner will receive $2,500; and third place will receive $1,000. Established in 2015, the Syngenta Crop Challenge in Analytics is supported by Syngenta and hosted by the Analytics Society of INFORMS. It was initially funded by prize winnings donated by Syngenta in connection with the company’s 2015 win of the Franz Edelman Award for Achievement in Operations Research and the Management Sciences, an international award that recognizes excellence in the industry. The challenge aligns with Syngenta’s commitment to make crops more efficient – one of the tenets of The Good Growth Plan, a global initiative to improve the sustainability of agriculture. For more information about the Syngenta Crop Challenge in Analytics, visit www.ideaconnection.com/syngenta-crop-challenge. Join the conversation online – connect with Syngenta at Syngenta-us.com/social. The INFORMS Analytics Society, a subdivision of INFORMS, promotes the integration of a wide range of analytical techniques and supports activities that illuminate significant innovations and achievement in the growing field of analytics. This document may contain forward-looking statements, which can be identified by terminology such as ‘expect’, ‘would’, ‘will’, ‘potential’, ‘plans’, ‘prospects’, ‘estimated’, ‘aiming’, ‘on track’ and similar expressions. Such statements may be subject to risks and uncertainties that could cause the actual results to differ materially from these statements. For Syngenta, such risks and uncertainties include risks relating to legal proceedings, regulatory approvals, new product development, increasing competition, customer credit risk, general economic and market conditions, compliance and remediation, intellectual property rights, implementation of organizational changes, impairment of intangible assets, consumer perceptions of genetically modified crops and organisms or crop protection chemicals, climatic variations, fluctuations in exchange rates and/or commodity prices, single source supply arrangements, political uncertainty, natural disasters, and breaches of data security or other disruptions of information technology. Syngenta assumes no obligation to update forward-looking statements to reflect actual results, changed assumptions or other factors. ©2019 Syngenta. 9 Davis Drive, Research Triangle Park, NC 27709. The Syngenta logo is a registered trademark of a Syngenta Group Company. All other trademarks are the property of their respective owners.